Qiagen has launched two novel liquid biopsy panels to evaluate circulating tumor cells (CTCs) in the growing field of research into molecular mechanisms in prostate and lung cancers. The AdnaTest ProstateCancerPanel AR-V7 Kit provides insights into tumor biology by detecting the androgen receptor splice variant 7 in CTCs of prostate tumor origin isolated from blood samples to investigate potential resistance to drugs for advanced prostate cancer. The test is licensed from Johns Hopkins University for nucleic acid detection of the AR-V7 biomarker. 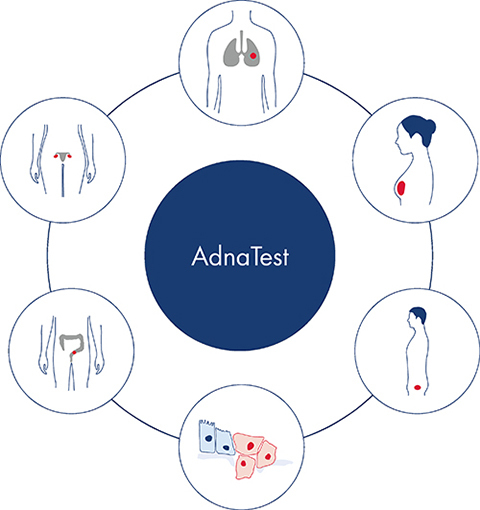 The AdnaTest LungCancer Kit delivers unique insights into the molecular mechanisms of lung cancer through highly specific selection of CTCs, including stem cell–like cells implicated in cancer growth and epithelial–mesenchymal transition (EMT), an important marker of resistance to cancer therapy. A proprietary set of antibodies provides sensitive detection of lung cancer-associated targets through reverse-transcriptase PCR.